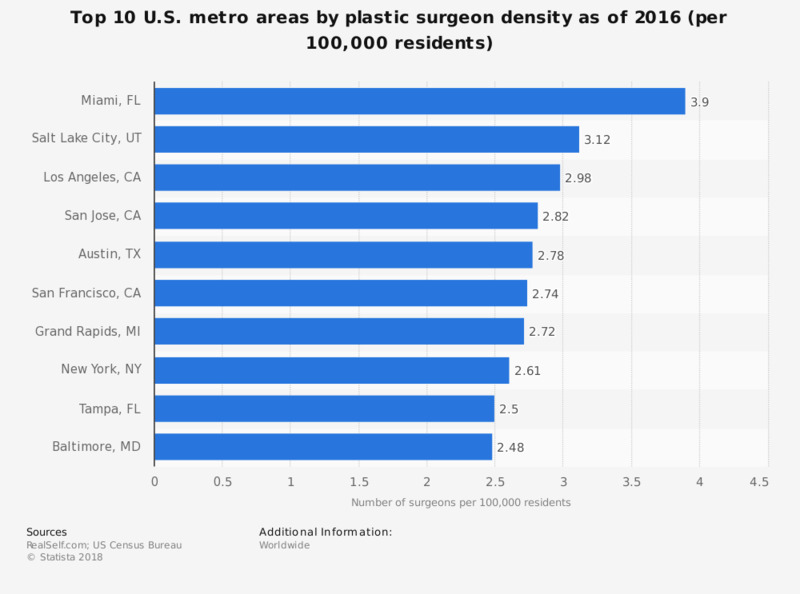 This statistic describes the top 10 metro areas in the United States based on the number of plastic surgeons per every 100,000 people living there. As of 2016, Miami had the highest density of plastic surgeons. There were almost four plastic surgeons per every 100,000 inhabitants.